There is a cautionary note on the info sheet accompanying the influenza vaccine, which advises individuals who are allergic to eggs to speak with their doctors before receiving the vaccine. As most readers know, the reason for the warning is that the usual flu vaccine is grown in embryonated chicken eggs. But, why chicken eggs, and how did this state of affairs come to be? The backdrop to this tale is that until the third decade of the twentieth century, virologists were still searching for fruitful means to cultivate viruses outside of a live laboratory animal. This was so despite the fact that, as early as 1907, researchers had been developing procedures for maintaining viable tissues in culture. And, soon afterwards, virologists began to adapt tissue cultures as substrates for propagating viruses. Yet as late as 1930, there were still only two antiviral vaccines—the smallpox vaccine developed by Edward Jenner in 1798 (1) and the rabies vaccine developed by Louis Pasteur in 1885. Bearing in mind that Jenner’s vaccine preceded the germ-theory of disease by a half century, and that Pasteur’s vaccine came 15 years before the actual discovery of viruses (as microbial agents that are distinct from bacteria), the development of these first two viral vaccines was fortunate indeed (2). The principal factor holding up the development of new viral vaccines was that viruses, unlike bacteria, could not be propagated in pure culture. Instead, for reasons not yet understood, viruses could replicate only within a suitable host. And, notwithstanding early attempts to propagate viruses in tissue culture (reviewed below), developments had not yet reached a stage where that approach was fruitful enough to generate a vaccine. How then were Jenner and Pasteur able to produce their vaccines? See Aside 2 for the answers. Jenner’s live cowpox vaccine protected against smallpox because cowpox, which produces a relatively benign infection in humans, is immunologically cross-reactive with smallpox. Thus, inoculating humans with cowpox induces immunity that is active against cowpox and against smallpox as well. Jenner’s discovery of the smallpox vaccine, while not entirely fortuitous, was still providential, since immunity per se, as well as microbes, were unknown in Jenner’s day. Following a successful worldwide vaccination program, smallpox was officially declared to be eradicated in 1977. The smallpox vaccine currently stockpiled in the United States contains live vaccinia; a virus that is immunologically related to cowpox and smallpox. Like cowpox, vaccinia causes a mild infection in humans. The existing smallpox vaccine was grown in the skin of calves. It is now more than 40 years old and has not been used for years, but it is still believed to be effective. At the very least, virologists would have liked to be able to cultivate viruses outside of a living animal host. The possibility of achieving that goal began to emerge when Ross G. Harrison, working at Johns Hopkins in 1907, became the first researcher to maintain bits of viable tissue outside of an animal. Harrison maintained frog neuroblasts in hanging drops of lymph medium. What’s more, under those conditions, the neuroblasts gave rise to outgrowths of nerve fibers. In 1913, Edna Steinhardt became the first researcher to cultivate (or at least maintain) a virus (cowpox) in a tissue culture. Steinhardt did this by infecting hanging-drop cultures with corneal extracts from the eyes of cowpox-infected rabbits and guinea pigs. However, there was no methodology at the time for Steinhardt to determine whether the virus might have replicated in her tissue cultures. In 1912, Alexis Carrel, working at the Rockefeller Institute, began a two-decade-long experiment that significantly increased interest in tissue culture. Carrel maintained tissue fragments from an embryonic chicken heart in a closed flask, which he regularly supplied with fresh nutrients. Later, he claimed that he maintained the viability of the culture for more than 20 years; well beyond the normal lifespan of a chicken. See Aside 3. In 1925 Frederic Parker and Robert Nye, at the Boston City Hospital, provided the first conclusive evidence for viral growth in a tissue culture. The virus was a strain of herpes simplex, which Parker and Nye received in the form of an extract from Ernest Goodpasture; soon to be the major character in our story. Parker and Nye established their first culture from the brain of a rabbit that was inoculated intracerebrally with an extract from an infected rabbit brain. The animal was sacrificed when in a convulsive state, and its brain was then removed aseptically. Small pieces of normal rabbit testes were added to pieces of brain in the cultures, to provide another potential host cell for the virus. Virus multiplication was demonstrated by inoculating diluents of subculture extracts into laboratory animals. A 1:50,000 diluent was able to transmit the infection. At this point in our chronology, the pathologist Ernest Goodpasture, and the husband-wife team of Alice and Eugene Woodruff, enters our story. Goodpasture’s principal interest was then, as always, in pathology. He became interested in viruses while he was serving as a Navy doctor during World War I. But his focus was on the pathology of the 1918 influenza pandemic, which he studied in the first sailors stricken by the infection (3). He was later interested in herpetic encephalitis, and in how rabies virus made its way to the central nervous system, but always from the perspective of a pathologist. 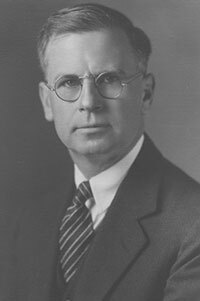 In 1927, Eugene Woodruff was a newly graduated physician who joined Goodpasture in the Pathology Department at Vanderbilt University for training as a pathologist. Eugene’s wife, Alice, a Ph.D., came to the Vanderbilt Pathology Department a year later, as a research fellow in Goodpasture’s laboratory. Goodpasture set Eugene Woodruff to work on fowlpox; a relative of smallpox, which, unlike cowpox, can not infect humans. Goodpasture was interested in the cellular pathology of fowlpox infection; specifically, in the nature of the inclusion bodies seen in fowlpox-infected cells. Using a micropipette, Woodruff was able to pick single inclusion bodies from infected chicken cells, and to then determine that inclusion bodies are intracellular crystalline arrays of the virus. More apropos to our story, in the late 1920s, virologists still could not generate large amounts of virus that were free of bacteria and contaminating tissue elements. For that reason, Goodpasture believed that future important advancements in virology would require the development of methods to grow large amounts of virus in pure culture; an impossible goal. In any case, Goodpasture delegated Alice Woodruff to develop a method for growing fowlpox outside of a live chicken. Goodpasture had already adapted Carrel’s tissue culture methods, which he used to maintain chick kidney tissue in culture. So, Alice’s first experiments were attempts to get fowlpox to propagate in cultures of chick kidney tissue. However, the virus stubbornly declined to grow in the tissue cultures. Goodpasture then suggested to Alice that she try to grow the virus in embryonated chicken eggs. But why did Goodpasture make that suggestion? The answer isn’t clear. But, back in 1910, Peyton Rous and colleague James Murphy, at the Rockefeller Institute, fruitfully made use of fertile chick eggs to cultivate a virus, as described in Aside 4. However, Rous’ accomplishments, which eventually would be recognized as huge, were largely ignored for the next 50 or so years. (The reasons are discussed in reference 4.) Goodpasture may well have been unaware of Rous’ earlier work when he suggested to Alice that she try to cultivate fowlpox in chicken eggs. If so, then his suggestion to Alice may have been an original idea on his part, perhaps inspired by his thinking of the chick embryo as a sterile substrate that is enclosed in a naturally sterile container. On the other hand, he and Alice did note the earlier work of Rous and Murphy in the 1931 report of their own work. (In that paper, they state: “The production of experimental infection in the chorio-allantoic membrane has, however, been done only in the one instance where Rous and Murphy grew the virus of the Rous sarcoma.”). In any case, the chick embryo method for growing viruses had lain dormant for twenty years. Alice Woodruff’s procedure for infecting the chicken eggs began with her making a small window in the egg shell, at the site of the air sac. (An egg cup served as the operating table, and the window was cut with a dentist’s drill.) She then inoculated the viral extract into the outermost layer of the chorio-allantoic membrane, which encloses the embryo and provides an air channel into its body. Alice then closed the window with a piece of glass, held in place with Vaseline. Alice tried to maintain sterility at all stages of her procedure. Yet despite the elegance of her techniques, she had nothing to show for these efforts except dead embryos that were overgrown with mold or bacteria. She then turned to her husband, Eugene, who was working in a separate laboratory, down the hall from her lab. Alice and Eugene, working together, developed procedures to sterilely remove fowlpox lesions from the heads of chicks. In brief, the chick heads were shaved and then bathed in alcohol. Then, the lesions were excised with sterile instruments. Next, the excised lesions were tested for bacterial or fungal contamination by incubating fragments in nutrient broth. If a lesion was sterile by that test, it was deemed fit to be inoculated into the eggs. Eugene further contributed to the effort by applying a technique that he developed earlier; picking out individual inclusion bodies from fowlpox-infected cells. When he discovered that the inclusion bodies could be disrupted into individual virus particles by incubating them in trypsin, he was able to provide Alice with virtually pure virus that she could inoculate the eggs with. The swollen claw indeed resulted from the fowlpox infection. This was shown by the fact that when bits of the swollen tissue were transferred to other embryos, they in turn induced more swollen tissue. Moreover, these swollen tissues contained fowlpox inclusion bodies. Additionally, when transferred to adult chickens, those bits of swollen tissue produced typical fowlpox lesions. During the next year, Goodpasture, Alice Woodruff, and Gerritt Budding (a lab assistant, who dropped out of medical school to participate in the chick embryo work) reported that cowpox and herpes simplex viruses could also be grown in the embryonated chicken eggs. Later studies by Goodpasture and Buddingh showed that each embryonated chicken egg could produce enough vaccinia to produce more than 1,000 doses of smallpox vaccine. They also showed, in a case-study involving 1,074 individuals, that the chick-grown smallpox vaccine works as well in humans as the vaccine produced by inoculating the skin of calves. Regardless, the chick vaccine never caught on to replace the long-established, but cruder calf-grown vaccine (see Aside 2). Goodpasture placed Alice’s name ahead of his own on their report describing the propagation of fowlpox in chicken eggs. Alice says that Goodpasture was “over-generous” in that regard. Howevever, much of the day-to-day lab work resulted from her initiatives. Eugene’s name also came before Goodpasture’s on the report describing the inclusion body study. Shortly after completing these studies, Alice left research to raise a family. Eugene’s name also disappeared from the virus literature. But in his case that was because his interests turned to tuberculosis. In 1932, soon after the above breakthroughs in Godpasture’s laboratory, Max Theiler and Eugen Haagen developed their yellow fever vaccine (6), which initially was generated in embryo tissue from mice and chickens. But, starting in 1937, production of the yellow fever vaccine was switched to the embryonated egg method, in part, to “cure” the live yellow fever vaccine of its neurotropic tendencies. Recall our introductory comments regarding the warning that individuals allergic to eggs should get medical advice before receiving the standard flu vaccine. In 1941, Thomas Francis, at the University of Michigan, used embryonated chicken eggs to produce the first influenza vaccine (see Asides 5 and 6). Remarkably, even today, in the era of recombinant DNA and proteomics, this seemingly quaint procedure is still the preferred means for producing the standard trivalent flu vaccine (see Aside 1). Next, Hillary Koprowski developed a safer, less painful and more effective rabies vaccine that is grown in duck eggs, and that is still widely used. Why duck eggs? The reason is that duck eggs require four weeks to hatch, instead of the three weeks required by chicken eggs. So, duck eggs give the slow-growing rabies virus more time to replicate. Addendum 1: Several major advances in cell and tissue culture (the other means for growing viruses outside of an animal) happened after Woodruff and Goopasture reported the development of their embryonated egg method in 1931. For the sake of completeness, several of these are noted. In 1948, John Enders, and colleagues Thomas Weller and Frederick Robbins, used Gey’s methods, to demonstrate for the first time that poliovirus could be grown in non-nervous tissue. This was significant because the potential hazard of injecting humans with nervous tissue was holding up the development of a polio vaccine. Next, Renato Dulbecco and Marguerite Vogt, working at Caltech, developed procedures to grow large amounts poliovirus in cell culture, adding to the feasibility of an eventual polio vaccine (8). Additionally, Dulbecco and Vogt developed a plaque assay procedure to measure the titer of animal viruses grown in cell culture (7). Addendum 2: The following excerpt tells of the chance encounter that led Howard Temin to become a virologist (4). Temin was the Nobel laureate who first proposed the retroviral strategy of replication, and who co-discovered reverse transcriptase. “Howard Temin began working on Rous sarcoma virus in the 1950s, while a graduate student in Renato Dulbecco’s laboratory at Caltech (see reference 7 for more on Dulbecco). However, he worked under the direct supervision of Harry Rubin, an early star in the field, who was, at the time, a postdoctoral fellow in the Dulbecco lab. Nothing was known as yet about the replication of the RNA tumor viruses, as the retroviruses were then known. Moreover, little more was known about the molecular basis of cancer in the 1950s than was known in 1911, when Rous first isolated his virus; a state of affairs that would be much alleviated by future studies of the oncogenic retroviruses. Rubin was a veterinarian by training, perhaps accounting for his somewhat unique appreciation of an oncogenic virus of chickens, well after even Rous himself had lost interest. And, Rubin was responsible for introducing other young investigators to the RNA tumor virus field, both at Caltech and later at UC Berkely. Rubin’s mentorship of Temin began somewhat fortuitously, as follows. When they first met, Temin was actually doing his graduate research in another laboratory at Caltech, looking into the embryology of the innkeeper worm, Urechis caupo. But he was also serving as a laboratory assistant in the Caltech general biology course. In that capacity, he was dispatched to Dulbecco’s laboratory to obtain some fertilized chicken eggs for use in the general biology lab. Harry Rubin supplied the chicken eggs. But the chance visit from Temin gave Rubin the opportunity to tell Temin about the chicken sarcoma viruses that were being studied in the Dulbecco laboratory. [Addendum 3: Today, viruses are usually cultivated in readily available continuous cell lines. That said, when I first entered the field in 1970, as a postdoctoral studying the murine polyomavirus, my first task of the week was to prepare the baby-mouse-kidney and mouse-embryo primary cell cultures, which at that time served as the cellular host for that virus. This rather unpleasant chore was a reason I eventually turned to SV40, since I could grow that virus in continuous lines of monkey kidney cells. 1. Edward Jenner and the Smallpox Vaccine, posted on the blog September 16, 2014. 2. 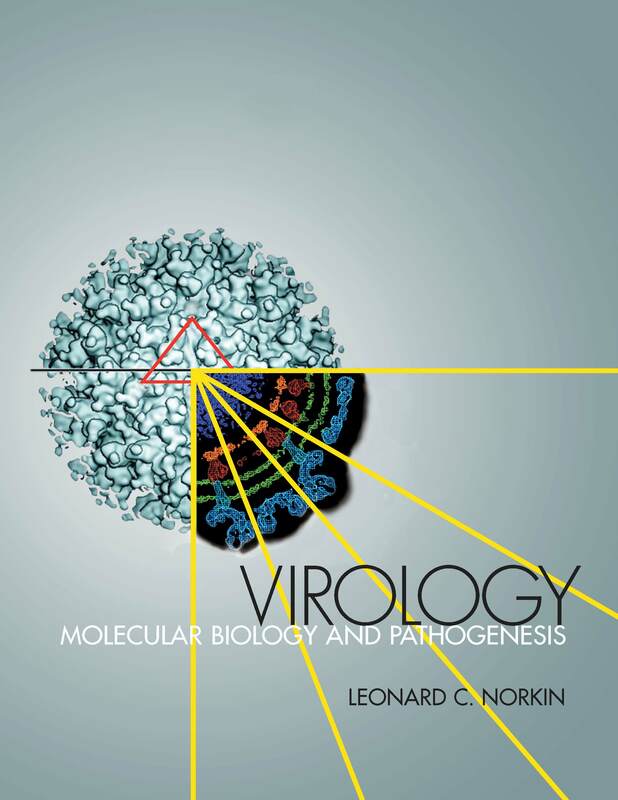 Leonard C. Norkin, Virology: Molecular Biology and Pathogenesis, ASM Press, 2010. Chapter 1 tells how viruses were discovered and how their distinctive nature was brought to light. 3. Opening Pandora’s Box: Resurrecting the 1918 Influenza Pandemic Virus and Transmissible H5N1 Bird Flu, posted on the blog April 15, 2014. 4. Howard Temin: “In from the Cold,” posted on the blog December 14, 2013. 5. Greer Williams, Virus Hunters, Alfred A. Knopf, 1960. 6. The Struggle Against Yellow Fever: Featuring Walter Reed and Max Theiler, posted on the blog May 12, 2014. 7. Renato Dulbecco and the Beginnings of Quantitative Animal Virology, posted on the blog December 3, 2013. 8. Jonas Salk and Albert Sabin: One of the Great Rivalries of Medical Science, posted on the blog March 27, 2014. Zika Virus, Part 2: The Link to Birth Defects, Is It Real? Andrew Wakefield and the MMR Vaccine Controversy: What about Mumps and Rubella? I am now a retired professor emeritus of Microbiology at the University of Massachusetts. Teaching virology has been a most rewarding aspect of my career. I especially enjoyed enlivening my lectures with a variety of relevant anecdotes.